Margaret was born January 1, 1877, the daughter of Louis Bittlingmeier (1844-1899) and Katharina Schuhmann (1856- ). Margaret's father, Louis Bittlingmeier, died in 1899, three years before the wedding. Her mother had just remarried in May of 1902 to Sebastian Kern. 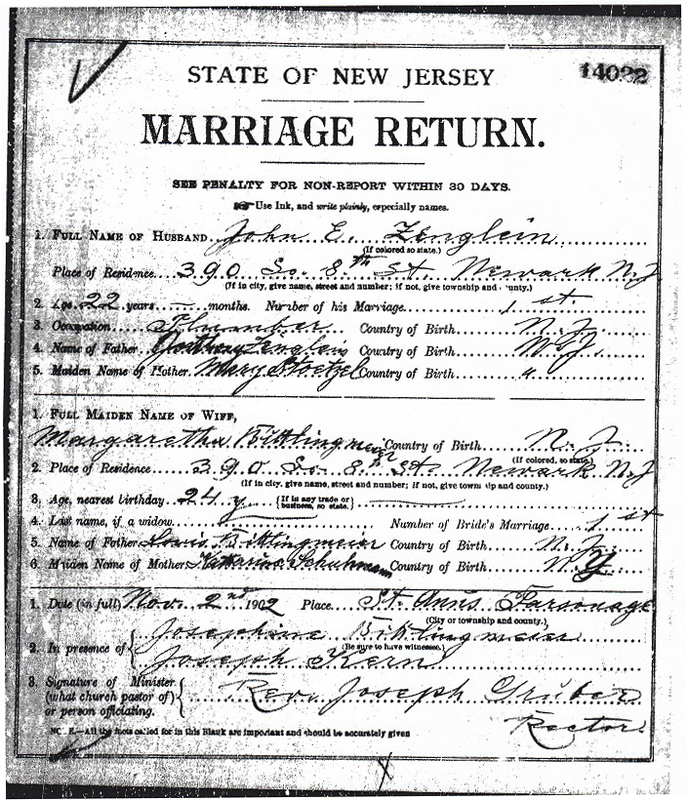 Note the witnesses listed on the certificate are Josephine Bittlingmeier, Margaret's sister, and Joseph Kern, who was Sebastian Kern's son from his first marriage. Also, note that the couple lived together at the same address.